ENGLISH AND CZECH SUBTITLES /// Winfried doesn't see much of his working daughter Ines. He pays her a surprise visit in Bucharest, where she's busy as a corporate strategist. The geographical change doesn't help them to see more eye to eye. Practical joker Winfried annoys his daughter with corny pranks and jabs at her routine lifestyle of meetings and paperwork. Father and daughter reach an impasse, and Winfried agrees to go home to Germany. 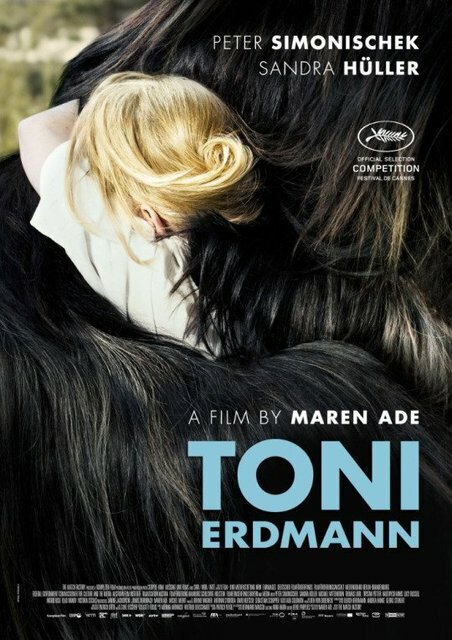 Enter Toni Erdmann: Winfried's flashy alter ego. Disguised in a tacky suit, weird wig and fake teeth, Toni barges into Ines' work circle, claiming to be her CEO's life coach. As Toni, Winfried doesn't hold back, and Ines meets the challenge. The harder they push, the closer they become. In all the madness, Ines begins to see that her eccentric father deserves a place in her life.